Hey everyone, welcome to the 42nd Episode of the Urban Astronomer Podcast, the second episode of 2019, and the final episode of our first season! Today we listen to Robert Ormerod, speaking about his first experience photographing the Northern Lights. I should have released this episode two months ago, but after my father’s sudden death, I decided I’d rather spend the time with my mother and brothers, remembering him, mourning, and healing. There’s still a long way to go before we’re all back to normal, but I’ve decided that I’d like to get back into the saddle and resume podcasting. This episode features the final public lecture in the ScopeX 2018 series, which was presented by Robert Ormerod. Robert is a documentary photographer from Scotland and featured ScopeX in an article he published recently in National Geographic. It shares his interest in amateur astronomers, telescope makers, and other people who spend their time looking beyond Earth. 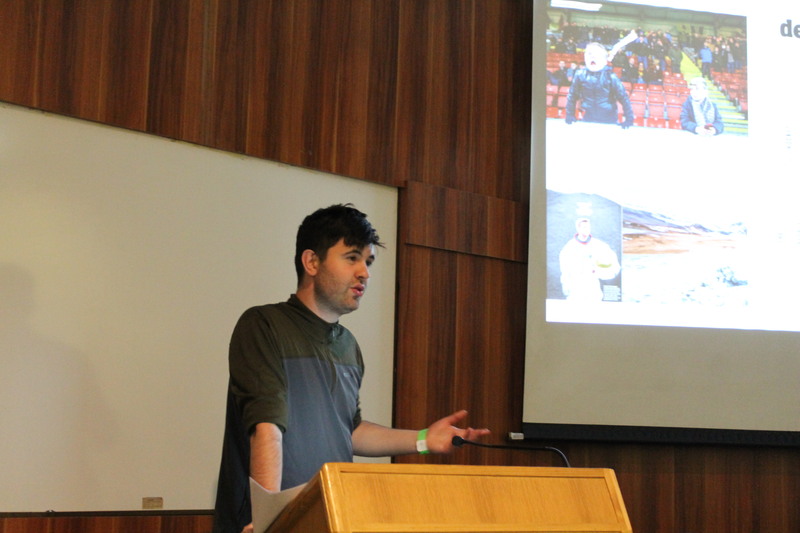 But in this talk, he shares his experiences visiting Iceland to photograph the Northern Lights. With recent events, I’ve decided to change how we structure this show. Up until now, we just released episodes as and when they were produced. I like the informal nature of this arrangement, but it does mean that sometimes entire months pass between episodes. That’s not fair on loyal listeners and supporters, and it’s bad for me since it chases away listeners. This last episode has been the worst for that, with a gap of almost three months. That won’t do. After some discussions with professional media folk and members of the local podcasting community, I’ve decided to introduce seasons. This 42nd episode is now officially the final of an extended super-season. It will be followed by another pause (planned, this time!). Over the next few weeks, I’ll be inviting guests and recording interviews, and once I have a solid idea of what’s coming, I’ll release a short preview to let you know exactly what to expect. So in closing, thank you for your patience, and I’m shaking things about so that it will all have been worth the wait. Until next episode then, thanks for listening! Thanks for providing this podcast, it has been enjoyable and informative. Frankly, this recent episode was not the best. Podcasts of live shows often have terrible audio quality, especially group talks on-stage, but the sound on this episode was good. Unfortunately, the speaker constantly referred to multiple, unseen images and none of them were of a Event Horizon. It was tough to follow. Episodes #16, 27, 29-31 were excellent and I’ll be listening to those again. Looking forward to your next episode! Thanks for the feedback. I’m definitely going to have to avoid these lectures in future – it seemed like a great idea when I struck that deal with ScopeX, but it just isn’t working as well as I’d hoped. I’m surprised (but gratified) that you liked #27 – I thought that was one of my weakest efforts. Just goes to show what I know! I’m looking forward to season 2 as well, and promise not to keep you waiting too long.